Cucumbers add a fresh, light flavor to salads, but they’re also a great addition to fresh smoothies. And of course, they’re the main ingredient in a variety of pickle recipes. Here’s what you need to know about growing pickling cucumbers or cukes for fresh eating, from temperature requirements to cucumber watering. Cucumbers are common to find in many backyard gardens across the country, and it’s easy to see why. Cucumbers are fairly easy to grow – all you need is a warm environment plenty of moisture, and lots of sunlight. They perform best in southern states, but with a little patience, cucumbers can thrive in many parts of the country. Ready to learn more about how to grow cucumbers? This helpful guide will get you started. Like many garden crops, cucumbers come with a variety of things to consider when you’re planning your garden. 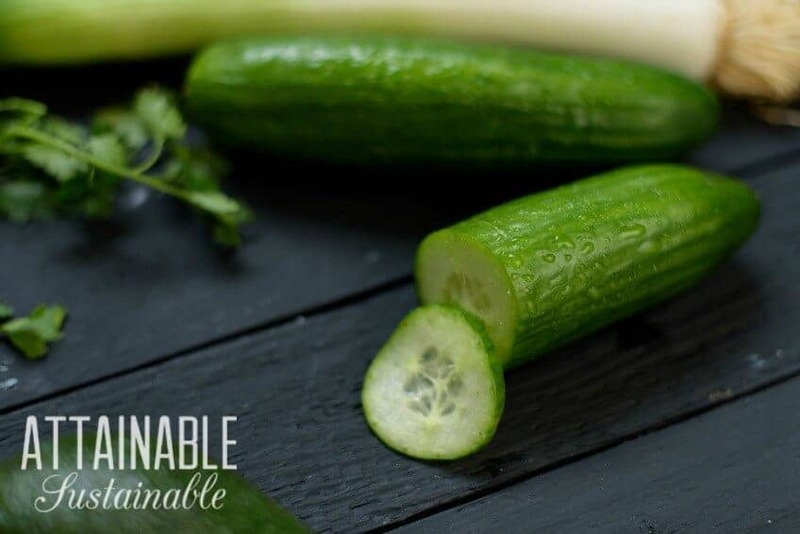 Commonly known as cucumber, the Cucumis sativus plant is a member of the Cucurbitaceae family (also referred to as cucurbits). Other garden crops that belong to the Cucurbitaceae family include zucchini, pumpkin, and squash. First things first: Is a cucumber a fruit or vegetable? It’s the million dollar question, isn’t it? We plant these prolific plants in our vegetable gardens. We eat them on vegetable platters. But technically speaking, is a cucumber a fruit or vegetable? Cucumbers have seeds, and they are edible, thus cucumber is a fruit. Cucumbers — the fruit of the Cucumis sativus plant — fit the description of a fruit. But while a cucumber is a fruit technically speaking, when’s the last time you saw them served on a fruit platter? Rather, cucumbers are better suited for use in savory recipes [like this one] or served with dip or sliced onto a green salad. I don’t know about you, but I’m going to continue to use them like a vegetable even though a cucumber is a fruit. Most cucumbers fall into one of two categories – slicing cucumbers or pickling cucumbers. Slicing cucumbers are larger, longer varieties best suited for salads and snacking. Pickling cucumbers, as you’d guess from the name, are perfect for preserving. They can be considerably smaller than slicing cucumbers and have bumpier, thicker skins than other varieties. They hold up well to the process of pickling, resulting in a crispy, crunchy pickle. Growing cucumbers: Bush or vine? You’ll need to determine what you want to do with your cucumbers before you choose your seeds, as this will guide your decision in what to plant. 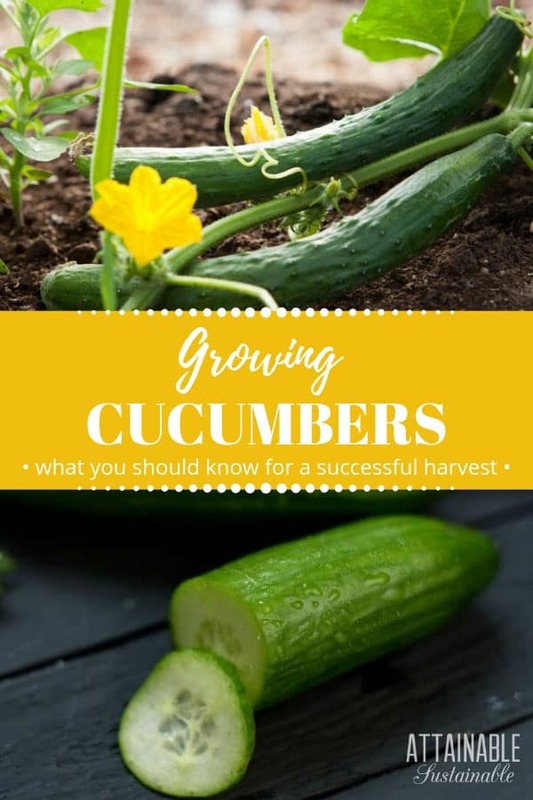 Aside from deciding which variety you’d like to grow, you’ll also need to choose the type of cucumber plant you grow when selecting your seeds: bush cucumbers or vine cucumbers. More common, however, are vine cucumbers. Vine cucumbers grow well along the ground, but some gardeners choose to trellis their cucumber vines. It requires a bit of extra work, but cucumbers grown on a trellis are typically more uniform in color and shape, and they won’t take up as much real estate in your garden bed. Whether you choose to plant a cucumber perfect for pickling or select a variety better-suited for slicing, they follow the same guidelines for growth. You should plant your cucumbers in a location with lots of sunlight – ideally, full sun exposure. This goes for pickling cucumbers and those you’ll use for slicing. Cucumbers need a fair amount of space to accommodate their sprawling vines. Plant your seeds at least 36 and up to 60 inches away from one another. 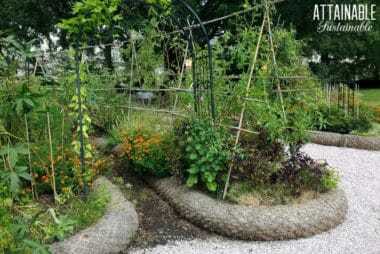 You can shorten this distance if you plan to trellis your plants, since they’ll take up less space on the ground. When preparing to plant your cucumbers, you should always consider the temperature. Cucumbers can handle temperatures between 65-90 degrees, but they germinate quickest when temperatures range between 80-90 degrees. Don’t plant your cucumbers while any chance of frost remains – be patient. Aim for a consistent soil temperature of 70 degrees before you plant. 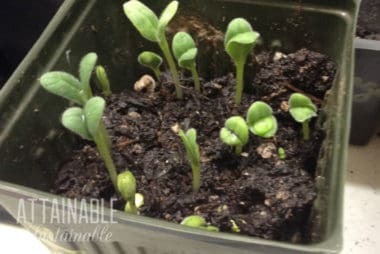 Because of the temperature requirement, some people choose to start their cucumber plants indoors and migrate them outside once it’s warm enough. Others embrace techniques to warm the soil. 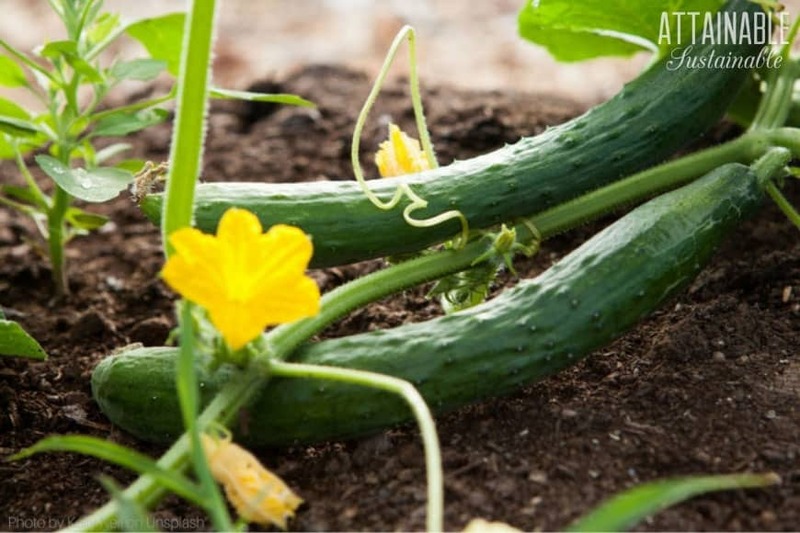 Planting your cucumbers in a garden bed raised several inches from the ground can increase the temperature of the soil by a few degrees – enough to make a difference. You could also consider covering the soil with a layer of black landscape cloth to absorb more heat and encourage warmth during the earlier weeks. If you choose this approach, proceed with caution once the days get warmer and remove the lining before temperatures climb too high. Cucumbers grow best in fertile soil, so you’ll want to enrich the earth with manure or compost prior to planting for a healthy boost. 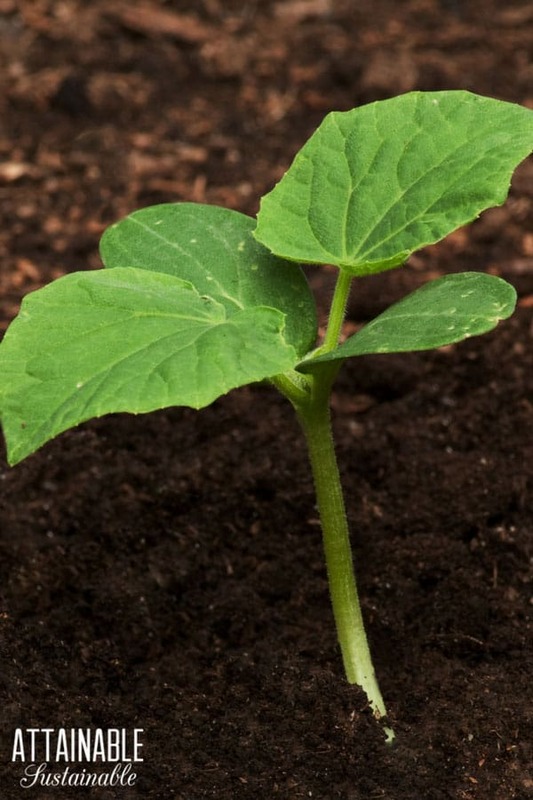 Consider natural fertilizers if you think your cucumbers could use a little extra encouragement. It’s important to ensure your cucumbers receive consistent water. Keep the soil moist but not overly saturated. This helps to prevent bitter cucumbers. Focus your cucumber watering efforts on the roots and avoid the leaves when you can, as moist leaves can lead to mold and other problems. Cucumber plants are susceptible to several common garden pests that can leave your cucumbers less-than-perfect. Aphids are one culprit to consider. Aphids can transmit mosaic virus to your plants, which can quickly render your harvest inedible. If you notice your plants may be suffering from mosaic virus, you can attack the aphids with a little neem oil, but unfortunately, plants contaminated with this virus likely won’t be salvageable. Slugs, squash bugs, spider mites, and cucumber beetles are other common pests that plague cucumber plants. Check out these methods of organic pest control to keep cucumber plants free of these critters. Your cucumbers may also develop powdery mildew, which is a fungus that grows and spreads along the surface of the leaves. 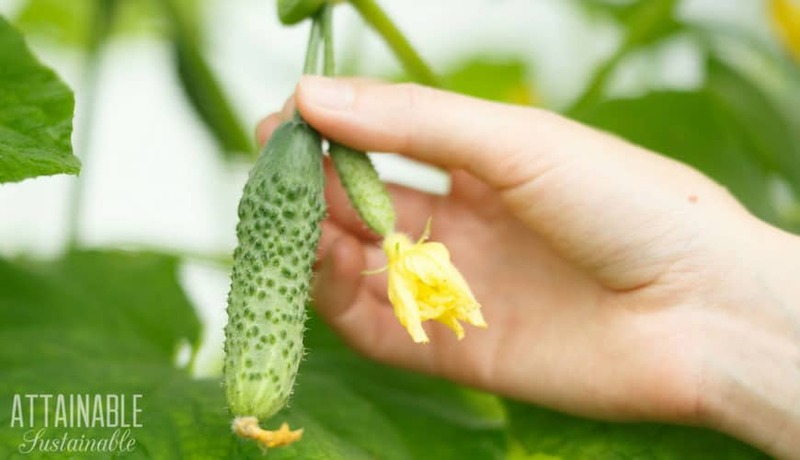 This typically only happens when your cucumbers are growing in a damp, moist environment, but once mildew starts, it can be tricky to combat. You can try to tackle it with a simple spray made of baking soda and water, but your best option is typically to remove the impacted part of the plant and improve growing conditions for the rest. Another problem some encounter when growing cucumbers is a lack of fruit. If your cucumber plant doesn’t actually grow cucumbers, it’s not likely due to disease. Cucumber plants produce male and female flowers. The female flowers must be pollinated by the males to produce fruit, but the male flowers often emerge before the female flowers. Give it a little time. 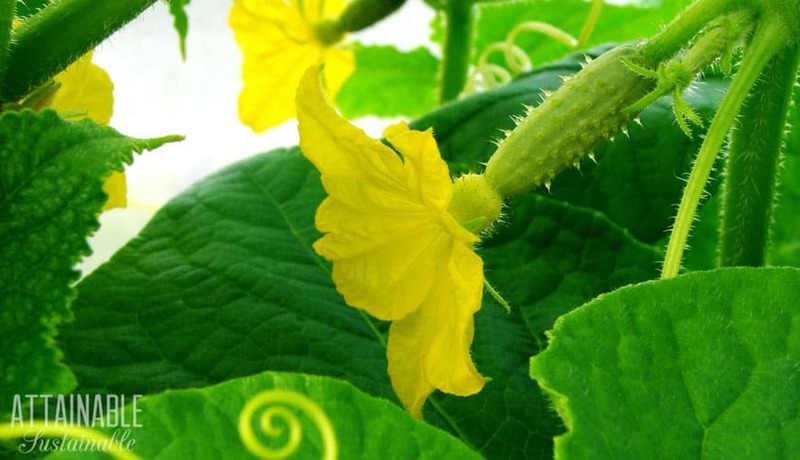 Check your cucumber plant for a small swelling at the base of the female flowers that looks like a tiny cucumber. If you can’t find these, you might have an issue with pollination. Many areas have experienced an incredible decline in local bee populations, which could have an impact here. 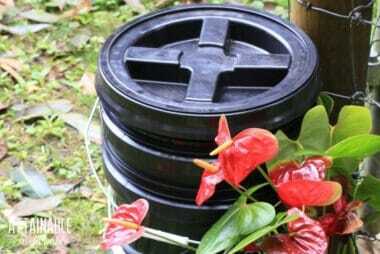 If no pollinators are available in your area and you have some patience, you can always pollinate the plants yourself. Cucumbers won’t ripen further once they’re picked, so it’s important to get your timing right. Slicing cucumbers should be harvested when they measure between six and eight inches long. Pickling cucumbers should be picked when they’re much shorter – anywhere from two to five inches is common. Ripe cucumbers are firm and green. Don’t wait too long to harvest your cucumbers, as overripe cucumbers can taste unpleasantly bitter. Yellow skin can be a sign of over ripeness. When you’re ready to pick your cucumbers, don’t yank them from the vine. Use a pair of garden shears to separate them from the stem about a quarter inch above the end of the cucumber. Store your cucumbers in the vegetable crisper drawer of your refrigerator. They’re best eaten right away, but you should be able to save them for up to a week without losing much quality. Follow my canning and preserving board for ideas on how to preserve cucumbers and the rest of your garden bounty. Kris Bordessa founded Attainable Sustainable as a resource for those striving toward a simpler, more self-reliant lifestyle. 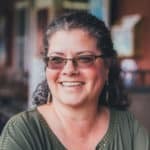 She is continually learning, often thanks to this virtual community.